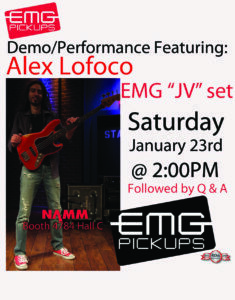 Demo/Performance NAMM 2016 at the EMG Pickups booth. 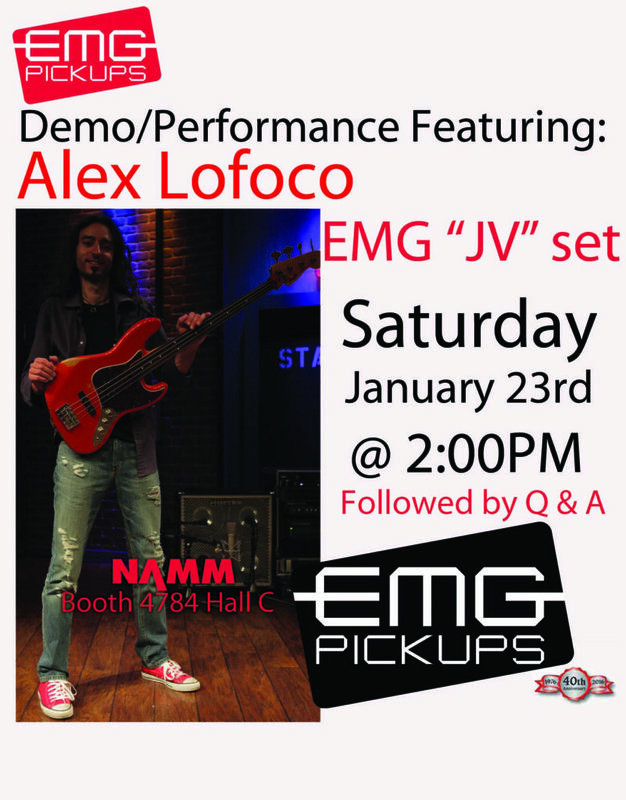 Alex will be performing at the EMG Pickups booth on Saturday 23rd January during Winter NAMM 2016. 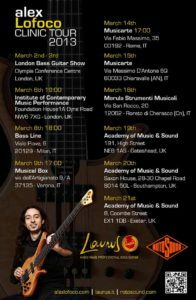 NAMM, the National Association of Music Merchants (NAMM), commonly called NAMM in reference to the organization’s popular NAMM trade shows, serves as a hub for people wanting to seek out the newest innovations in musical products, recording technology, sound and lighting. NAMM’s activities and programs are designed to promote music making to people of all ages.